Led by the Cascadia Partner Forum and Conservation Northwest, WildLinks is our annual conference and science briefing that brings together researchers, conservationists, land managers, agency officials, tribal and First Nations leaders and other experts from Washington and British Columbia. The goal is to share ideas about our region’s wildlands and wildlife populations healthy and connected. Please visit the Cascadia Partner Forum wesbite for more information on the WildLinks Conference. A big thank you to all of the sponsors and partners that make each year’s WildLinks Conference a success. And to the attendees who take time to join the dialogue for wildlife and connected habitat! 2018 WildLinks – Held in October, 2017 at Manning Park Resort in southern British Columbia. Read more in our blog Expanding the dialogue at WildLinks 2018, or on the Cascadia Partner Forum website. A climate-focused Voices of Cascadia video and collaborative development of a Cascadia Climate Adaptation Strategy to bring partners together under a regional vision for a resilient Cascadia. Objectives included an increase in accessibility of important tools and science to inform decisions today, scenario planning to explore options for our future, and communications including stories about climate adaptation in action throughout this transboundary landscape. Google presented and brainstormed at the conference to explore how their technologies and tools can facilitate more efficiency and effectiveness in creating a resilient Cascadia through this strategy. Sharing information on the latest management plans, conservation efforts, climate assessments, and scientific studies on four Cascadia Partner Forum priority species: salmon, Canada lynx, grizzly bears and wolverines. Continued networking with new and old connections. 2015 WildLinks – October 28-30, 2015, Manning Park Resort, British Columbia. Hosted by the Cascadia Partner Forum, Conservation Northwest, Skagit Environmental Endowment Commission, North Pacific Landscape Conservation Cooperative and the Great Northern Landscape Conservation Cooperative. The 2015 WildLinks gathered the diverse pool of practitioners working throughout Cascadia to create a more resilient landscape for species and ecosystems today and into the future. 2014 WildLinks – The 2014 WildLinks conference, held at the North Cascades Environmental Learning Center, focused on the transboundary Cascadia region and important connecting ecosystems in partnership with the Cascadia Partner Forum. Key issues covered were grizzly bear and salmon recovery, ecological connectivity, and land-access management. 2013 WildLinks – A workshop of the Cascadia Partner Forum. Read the Summary Report prepared by Jon Bepple providing an overview of presentations, discussion, and side meetings held during the conference. 2012 WildLinks – Building off past years. Moving forward for transboundary coordination in the Cascadia ecosystem for species and habitats in a changing climate. 2011 WildLinks – Coordinating across political borders to help species and ecosystems adapt to a changing climate. 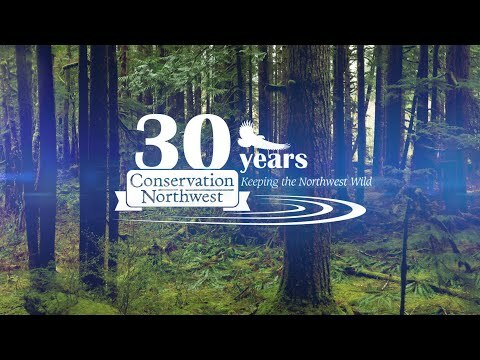 This two-day conference was held in Seattle, co-hosted by the USFWS Great Northern and North Pacific Landscape Conservation Cooperatives. This two-day conference focused on recognizing the needs of wildlife on both sides of the U.S.-Canada border. This two-day conference focused on wildlife and lands from the North Cascades to northeastern Washington. This one-day conference focused on Washington’s North Cascades.